Trade and North Korean nuclear tests have become intimately connected. In July, the UN Security Council imposed new sanctions in response to North Korea’s tests of intercontinental missiles. Since then, tensions have escalated further after Pyongyang fired a ballistic missile over Japan and undertook its sixth and most powerful nuclear test. 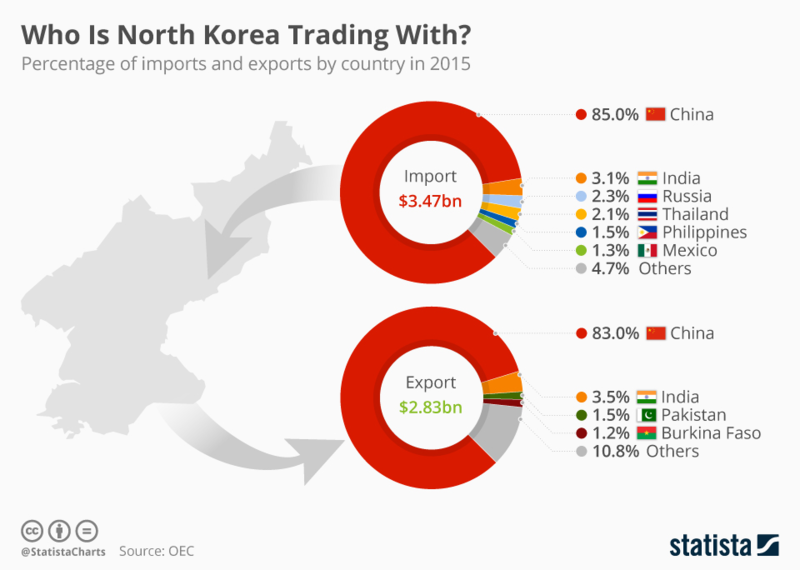 Using figures from the Observatory of Economic Complexity (OEC), a data visualization site for international trade, Statista has compiled a chart showing North Korea’s top import and export partners. In 2015, North Korea exported $2.83bn and imported $3.47bn worth of products, according to the OEC. The vast majority of trade is with China, which accounted for 85% of imports and 83% of exports in 2015. But though it’s an isolated regime, North Korea was also trading with a number of other countries that year. The OEC data shows that 3.5% of North Korea’s exports in 2015 went to India, while 3.1% of imports came from India. However earlier this year, the Indian government said it would stop all trade with North Korea, except for food and medicine. In 2015, Pakistan accounted for $43.1m of North Korean exports and Burkina Faso, another top export destination, $32.8m. The same year, North Korea’s largest import partners after China and India were Russia ($78.2m), Thailand ($73.8m) and the Philippines ($53.2m). So what goods does North Korea trade? Its biggest imports are refined petroleum, woven fabrics of synthetic filament yarn, delivery trucks, soybean oil and broadcasting equipment, according to the OEC. The latest UN sanctions include a ban on the key North Korean exports of coal, iron, iron ore, lead, lead ore and seafood. Despite facing sanctions, North Korea’s economy grew by 3.9% in 2016 -- its fastest pace for 17 years. The impact of the latest round of sanctions – the toughest so far – remains to be seen, but the measures could cost the country around $1 billion a year. The burst of economic growth was driven by the mining and energy sectors. Reuters also noted that the manufacture of components for North Korea's missiles would be included in GDP figures, boosting the growth rate. North Korea also increased exports by 4.6% in 2016, according to South Korea’s central bank, Bank of Korea. 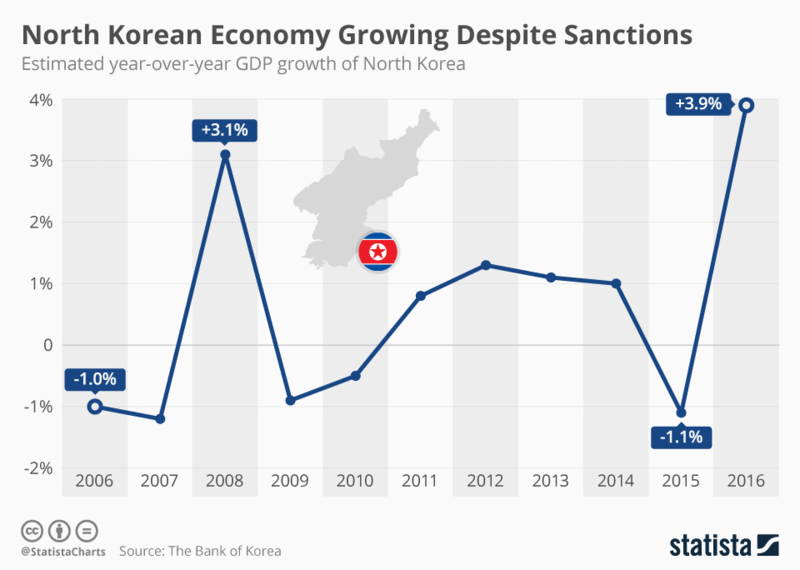 North Korea does not publish reliable economic data, but the Seoul-based Bank of Korea has released GDP figures on North Korea since 1991 based on information from government agencies including South Korea's Ministry of Unification and the National Intelligence Service. Although growing, North Korea's economy struggles to meet the basic needs of its people. Average national income stood at $1,342 last year, less than 5% of the comparable figure in South Korea. The UN estimates that more than 10 million people - or 41% of the population - are under-nourished. 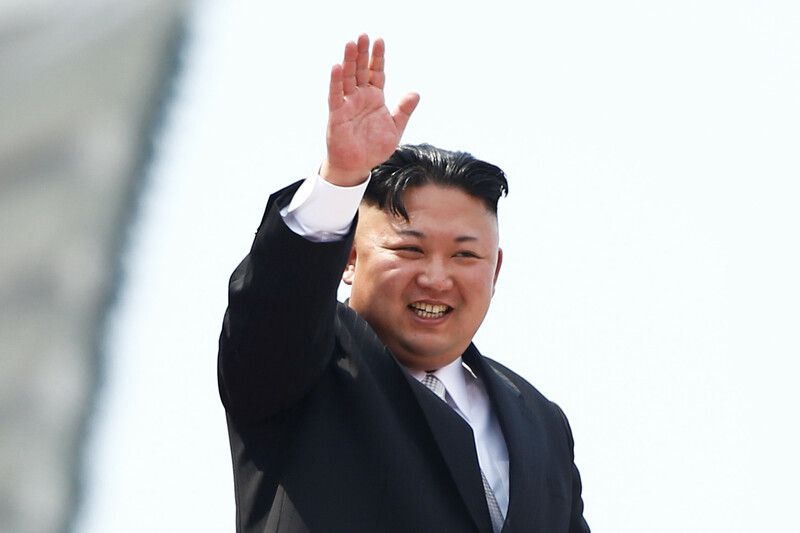 Will North Korea's nuclear ambitions provoke a new arms race?